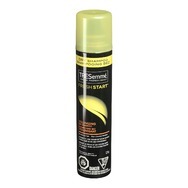 TRESemmé® Fresh Start Volumizing Dry Shampoo Recommended? You Betcha! St. Ives Gentle Smoothing Oatmeal Scrub & Mask Recommended? You Betcha! L'oreal fine flowers cleansing milk Recommended? You Betcha!